Print this certificate. Then sign the certificate and return the signed paper certificate to the Education Office to pick up your application packet. Write today's date the the desired pre-student teaching semester (i.e. Spring 2013). The Education Office is located on the ground floor of prep hall and is open most days from 9am-5pm. 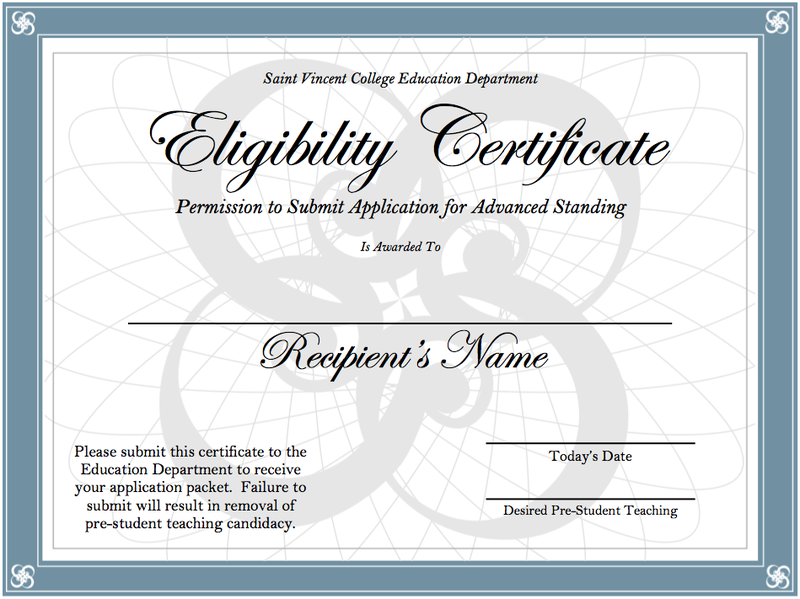 Once you turn in your signed Eligibility Certificate you will receive your complete paper application packet with directions and forms for getting recommendations, transcripts, and writing an autobiographical statement.